Personal home cinema and entertainment systems are becoming more and more popular. We are often asked to design TV and cinema rooms. The ultimate home entertainment center has a projector screen, surround-sound speakers, and even cinema seating. These types of projects require a keen sense for technology, acoustics as well as design aesthetics. Spare rooms can be transformed into high-tech and sophisticated spaces for entertaining. Below are some samples of our work, as well as other home cinema and entertainment room projects that we admire. Projectors and the big screen produce huge displays offering great picture quality. These can be ceiling mounted, positioned on tables, or set into the ceiling on a hydraulic lift, screens can be operated remotely so they drop down ready for use. Shown here to the above left of the screen. 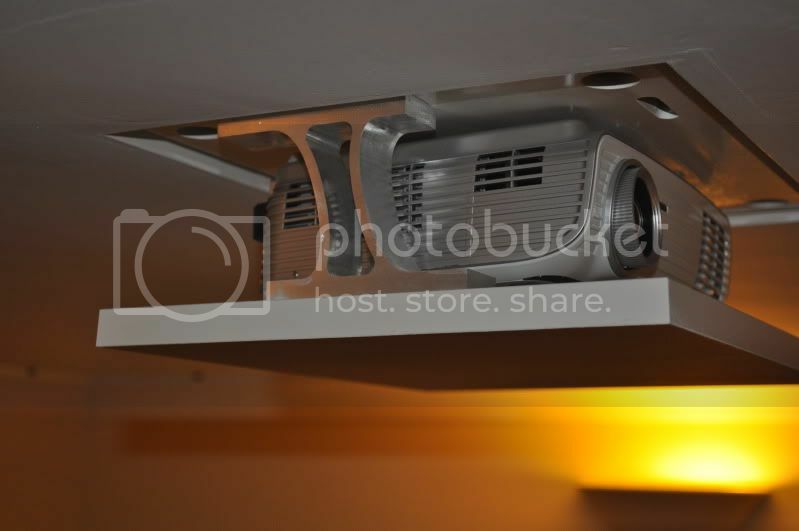 Above is an example of a cinema room with a fixed screen fully integrated into the wall. Here the screen takes center stage. When embarking on these kinds of projects the biggest issue for most people is how to hide audio and video equipment. We always design with this in mind the equipment can be housed in cabinets next to the screen as above. If you haven’t got the room it’s possible to house your equipment remotely in another room, and if you have the budget you can set up the whole of your AV system to work from one location. Remember its important to think about heat some audio visual equipment can run hot, you may need to install either fans or ventilation to prevent overheating. The screen above was made of acoustic material so the speakers could be housed behind, negating the worry of unsightly speakers. 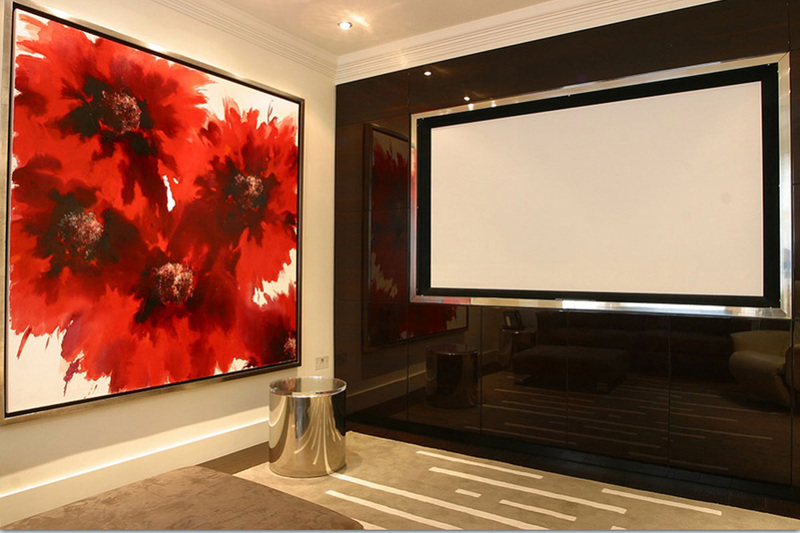 The above home cinema room is decorated in sumptuous, rich reds and taupe’s. The fabrics and furnishings are in soft velvets and faux furs giving the room a luxurious feel. Selecting dark colours for walls can help create a theatre like atmosphere and also make the screen stand out better. I love the cosy feel to this room it makes me feel like snuggling up and watching a good film. In contrast I also love this home cinema it combines contemporary sleek design with nostalgic touches, this industrial open plan space is highly imaginative and artistic. This entry was posted in Design Ideas on May 13, 2013 by admin.